Turkey has much to offer for all foreigners who are planning to live in the country. With its infrastructure, the standard of living, the low cost of living, the uncomplicated process of getting work permit or residence permit, currency rate of TL, and advantage of getting Turkish citizenship by investment, living in Turkey is a great idea for all foreign nationals. Living in Turkey is not expensive for foreigners from the EU and the US. Except for certain locations, housing and the cost of living is cheaper compared to that in their home countries. Although the regional differences affect the cost of living, the average cost of the rents, transportation, food and daily expenses still much lower than the EU or the US. Also the housing costs, options ranging from villas to apartment flats, are more reasonable in Turkey. Foreigners deciding to live in Turkey need to get their residence or work permit in order to stay in the country after the 90 day visa period. Before moving to Turkey foreigners should apply for the work permit with required documents from the consulates of the Republic of Turkey in their country. After the initial application, online applications should be made through the e-Government portal of Turkey (www.turkiye.gov.tr) and direct applications to the Ministry of Labor and Social Security in Turkey within 10 days. Residence permit applications are also made through Directorate General of Migration Management’s e-residence system firstly. Following the online application, foreigners should submit the required documents to the local Directorate General of Migration Management offices. Do you know we can help you to get your work/residence permits in most cost & time effective way? For foreigners coming from Europe or America, the currency rate of Turkish Lira is a great advantage for them. 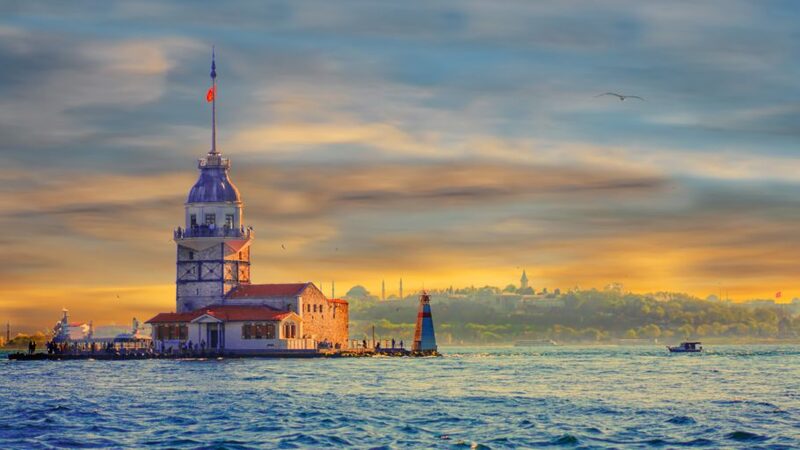 In the last year, house sales surged in Turkey due to the fall of currency rate, sales to foreign nationals climbed 78% in 2018. Most home buyers who want to live in Turkey are from Europe and the Middle East. The currency rate of TL also attracts business owners from the nearest countries as well as EU countries such as the UK, Netherlands, and Spain and the USA. Turkey also offers Turkish citizenship to foreigners by investment. If you have established a business for at least 50 full-time jobs for Turkish citizens or made a capital investment of at least $500 K you can apply for Turkish citizenship. Turkey offers many options to foreigners who want to buy a house or establish a business and live in the country. Most popular regions to live in Turkey for foreign nationals are Istanbul, Aegean and Mediterranean coast cities? While most business owners prefer to establish their business and live in Istanbul, foreigners who prefer to live and buy a property in many peaceful regions such as Alanya region in Antalya, Bodrum, Fethiye, Marmaris, Didim, or Side. Last but not least, starting to learn Turkish before your move will be a great advantage for you. Without a proper Turkish course, learning Turkish may be a little bit hard, but you can learn a few useful words that you can come handy when you travel to Turkey. The Turkish language may not be easy to learn but after you start to live in Turkey, you will pick up the Turkish language much faster. If you want to learn more about the country before you decide to live in Turkey you can check Individuals page to get more information about procedures.